Premium Certified IBS MD Review - Does It Work? 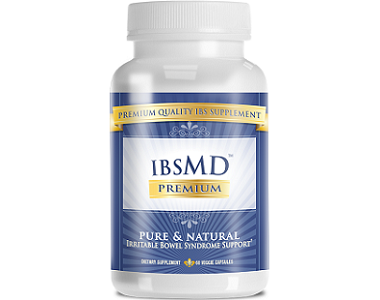 Today we review IBS MD. Irritable bowel syndrome can have a significant effect on your daily life. Most sufferers are under the age of 50 and it is estimated that IBS affects 25 to 45 million people in the United States. To fight bouts of IBS it is important to stick to a healthy diet but for ultimate success, it can sometimes be useful to look into supplemental support. 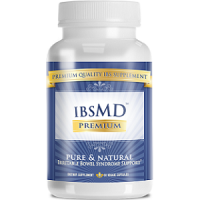 IBS MD claims to provide you with intestinal digestive support and to keep discomfort and pain at bay. This product also aims to minimize bouts of constipation, diarrhea, gas and bloating. 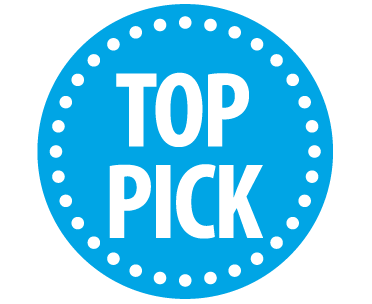 If you suffer from IBS and you find this product interesting, read our review below. All of the ingredients used are 100% natural and free from binders, fillers, preservatives and artificial ingredients. This product is also vegan-friendly. All of the ingredients work together to provide support to the digestive system and to aid in pain relief. These ingredients effectively provide relief from constipation, diarrhea, gas, bloating and also minimizes stomach spasms. Some of the ingredients also boost energy, your immune system and also acts as a detoxifier to help rid you of unnecessary waste. Anti-inflammatory properties can also be found in Cumin and Turmeric. The Digestive Natural Enzymes supports healthy intestinal health and aids the normal functioning of the bowel. How Do You Use IBS MD? This product should be used as a dietary supplement. Two capsules should be taken daily, one in the morning and one in the afternoon. You can buy this product directly from the manufacturer’s website. One bottle contains 60 veggie capsules so it will last one month precisely and will cost you $48. Three bottles will cost you $30, four bottles will cost you $112 and 6 bottles will cost you $138. They accept most paying methods and they also deliver worldwide. Yes, there is a 90-day guarantee which ensures you get all of your money back if you are not satisfied with this product. You must return all bottles, opened or unopened, to be eligible for a refund. Pregnant or nursing women, children under the age of 18 and people with a serious medical condition should consult a doctor before taking this dietary supplement. This is one of our favorite products when it comes to supplementing to aid IBS. This product’s guarantee is by far one of the most competitive guarantees when you look at similar supplements being offered on the market. Their 90-day guarantee really makes sure that you are not taking any chances with your money. We also love the natural ingredients used in this product ensuring you are only putting beneficial nutrients into your body. The discounts offered on bulk orders also make this product reasonably priced and affordable in the long run. This product is also suitable for vegans which make it quite inclusive and it is also cruelty-free.